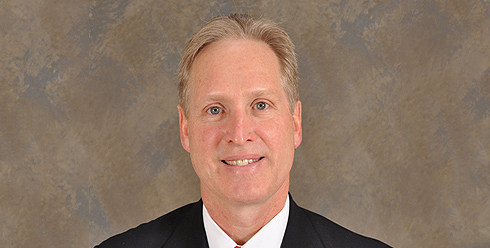 Dr. James A. McGee graduated from the University of Iowa College of Medicine in 1988. After an internship in LaCrosse, Wisconsin, a radiology residency at Northwestern University and a fellowship in body imaging and mammography at the University of Iowa, he and his family moved to Peoria in 1994. Board certified since 1993, a member of the American College of Radiology since 1994, and the Radiological Society of North America since 1995, Dr. McGee is passionate about magnetic resonance imaging. He has helped develop the current state of the art imaging program in body MR, musculoskeletal MR, prostate MR and breast MR. A co-director of MRI at UnityPoint Methodist, Pekin Hospital and Cottage Hospital, he has been the physician liaison for accreditation of the MR systems with the American College of Radiology, a rigorous process that ensures high-quality imaging to patients. An assistant clinical professor at UICOMP since 1998, he has given numerous CME lectures to technologists, community groups, and allied health professionals to promote MR. He and his wife Joan, raised three children in the Peoria area. Dr. McGee and his wife are dedicated members of Northminster Presbyterian Church and have served in the Great Banquet ministries. They are supporters of the Peoria Art Guild, the Boy Scouts, and Big Hearts Outdoors. Dr. McGee is a board member of the Boys and Girls Clubs of Greater Peoria.